"Slancio Premiere Version," 2000, bronze, 24x7.5x14 in. "Torso con Braccio," 2008, bronze, 35x20x13 in. "Chiara," 2000, bronze, 15x7x7 in. "Torso Nero," 2003, bronze, 9x8x6 in. "Satiro I," 2004, bronze, 12x10x5 in. "Debacle IV," 2006, bronze, 17x15x3 in. "Nudo Disteso 3," 2011, bronze, 17x3.5x6 in. "Figura a Riposo," 2010, bronze, 7x7x14 in. "Studio di Figura," 2011, terracotta, 45x13x10 in. "Caduta 1 (Fall)," 2004, bronze, 27x31x21 in. 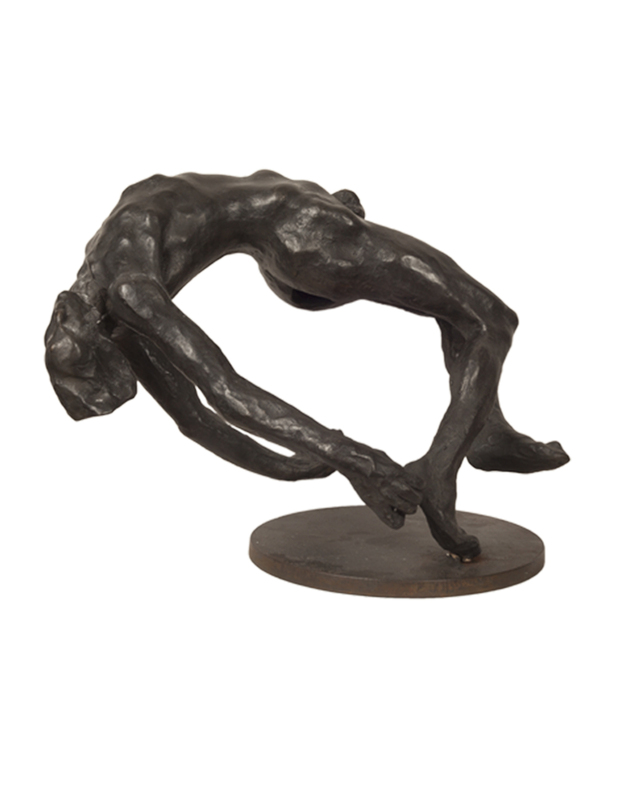 "Giordano," 2000, bronze, 11x7x7 in. "Torso Assimetrico," 1999, bronze, 10x7x12 in. Born in Padua in Veneto, Italy in 1969, sculptor Ettore Greco holds a Masters of Fine Arts from the Academy of Fine Arts of Venice. Working primarily in bronzes, plasters, and terracottas, Greco likes to sculpt the human form to explore the body and its movements and the strongest human emotions, birth and death, but also the madness, in pieces that are very much contemporary as they are reminiscent of classic masterworks. He has been a part of exhibitions in Chicago, Paris, Luxemburg, London, and throughout Italy. He currently still lives and works in Padua.